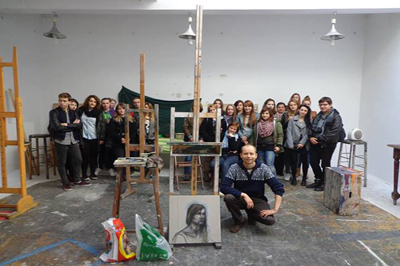 Students from III and IV degree classes from Fine Arts Secondary School in Zamość, interested sponsors from area and local Media. We would like to invite you to informational meeting dedicated for young creators scholarship, endow by Marcin Kowalik - a painter from Zamość. The meeting will be placed at Saturday 07 of December 2013 in BWA Zamojska Gallery - st Staszica 27 (Market Squere - Zamość).